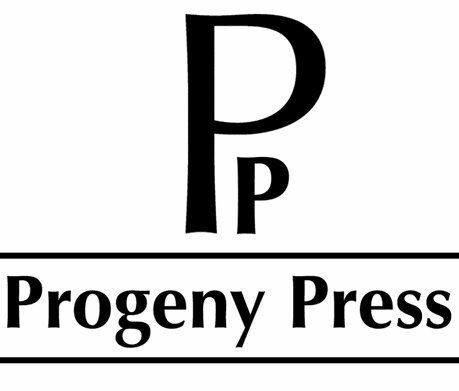 Progeny Press is a family-owned and operated company that sells literature guides for grades K-12. Mike and Regina Gilleland started the company in 1992, when as homeschooling parents, they were unable to find literature guides that taught "classic cultural literature from a Christian perspective." They now publish guides for over 100 books. We received a downloadable copy of the Eagle of the Ninth Study Guide and answer key to review, which is one of the guides Progeny Press offers for middle school (grades 5-8). It's interactive, which means that the PDF file allows the student to type their answers into the answer fields and save them. I printed out copies for the girls, because I'm mean like that. (Actually, we only have one computer in the school room, and they aren't very good about sharing it.) I've wanted the girls to read this book, and perhaps the entire trilogy, since it goes along nicely what what we're studying in history this year. I hadn't gotten around to assigning it, though, so this presented a great opportunity to do that and see how we would like using a literature guide. The Eagle of the Ninth is a book about a young man named Marcus, who becomes a commander in the Roman Legion in Britain, hoping to discover what happened to his father. The literature guide begins with a list of suggested pre-reading activities, which are excellent. Since we've read quite a bit about Roman Britain, though, we jumped right in to reading the book. I tried having the girls read on their own, but they really preferred that we use it as a read-aloud, so that's what we did. The guide is set up to cover three chapters of the book at a time, so we read the first three chapters together, and then looked at the questions. Vocabulary - Different activities help the studentes think about the words in different ways, including multiple choice, finding synonyms and antonyms, matching a word to its definition, etc. Sometimes, at the end of a section, there would be a Classroom Discussion question, or Optional Activities, such as a writing project. a research project, or a demonstration the student could do. Some of these activities were better suited for a classroom setting, but most worked in a homeschool setting as well. At the end of the guide is an Overview section, a list of possible Essays and Projects, and finally, a list of Additional Resources, including other books by the same author, other books related to the same topic, and relevant movies with their ratings so you could choose what is appropriate for your family. This was a challenging activity for my girls. We haven't done much with formally identifying literary elements, such as hyperbole, foreshadowing, allusion, etc. It was good for us to define them together and identify them in the story. I also liked that the "Digging Deeper" questions gave Scripture references and asked us to think about how we, as Christians, might respond differently to situations encountered in the story. I found that it was better for us, at least this first time using a literature guide, to discuss things together rather than have them attempt to answer the questions on their own. This is an excellent literature guide. If I were teaching in a classroom or co-op setting, I would much prefer to use something like this over assigning a standard book report. I thought the discussions generated by the questions in the guide were wonderful, and I enjoyed looking at the literary elements with my girls. I don't feel that the guide analyzed the book to death, or told the girls what they were supposed to think about what they were reading, which is a concern of mine. I would probably use this as a tool for me, the teacher, in my homeschool, rather than assigning it to my students. I could see using the questions to bring out more discussion if I felt they were missing key points after hearing them narrate, and perhaps pick and choose from the optional activities if I thought there was one that would be particularly helpful to them. Charlotte Mason taught that students need to make their own connections when reading a book, and as the teacher, I should not come between the student and the author. They've practiced narration for so many years, they're quite good at it. I don't feel this is something we need at this point, but I might want a tool like this as we get into high school studies. 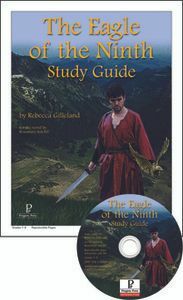 The Eagle of the Ninth Study Guide is available from Progeny Press for $16.99 for the digital download or CD, and $18.99 for the printed booklet.